Noctua's NM-AM4-UxS Mounting Kit is an inexpensive way of adding AM4 compatibility to your existing NH-U14S, NH-U12S or NH-U9S CPU cooler. The NM-AM4-UxS kit allows Noctua users to upgrade NH-U14S, NH-U12S and NH-U9S coolers to AMD’s AM4 socket (Ryzen). It is a dedicated solution for the NH-U14S, NH-U12S and NH-U9S models and has been designed to combine outstanding reliability, optimal contact pressure and easy, straightforward installation. 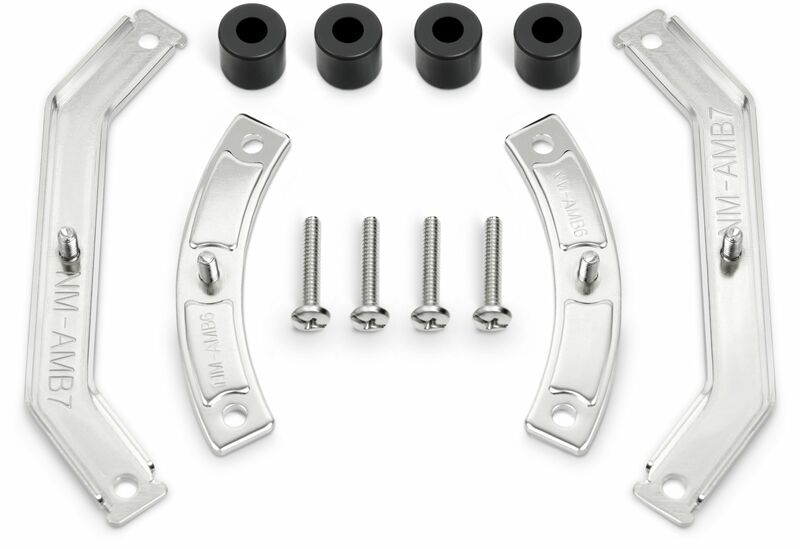 Bringing the trusted SecuFirm2 quality to AMD's AM4 platform, the NM-AM4-UxS is an enthusiast-grade mounting kit that meets the highest demands in safety, performance and ease of use. Noctua's SecuFirm2 systems feature fully integrated fastening brackets with pre-fixed pressure screws and springs, which greatly facilitates the installation process. No fiddling with loose screws and springs! In order to cut costs, many manufacturers use cross-platform parts for both Intel and AMD, which can cause compatibility issues. 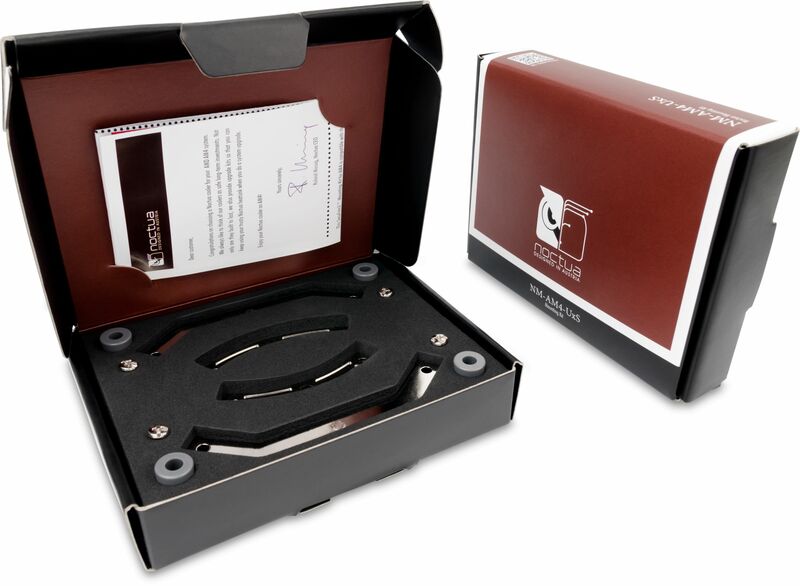 Noctua's SecuFirm2 mounting system for AM4 has been tailor-made for this socket in order to ensure optimal compatibility. Coming with two different sets of mounting bars, the SecuFirm2 system allows the users to choose the orientation of the cooler according to their preferences in order to ensure best compatibility and optimal alignment with the airflow path inside the case. Owners of Noctua NH-U14S, NH-U12S and NH-U9S CPU coolers can obtain the NM-AM4-UxS Mounting-Kit free of charge from Noctua via this form. A proof of purchase (electronic version, photo or scan of the invoice) of both a Noctua CPU cooler and either a socket AM4 motherboard or socket AM4 CPU are required. Please note: This offer is run and fulfilled by Noctua, Quiet PC are not able to supply the free kit on Noctua's behalf.